Is it time to jump on the “cloud computing” bandwagon with your TM1 application? It depends. A month ago we talked about IBM’s new TM1 on Cloud offering, in which we explained what it is TODAY. In this blog post we will try to give you some guidance on how to make decisions around it. It turns out that TM1’s nature makes this a surprisingly interesting topic (by the end I hope this comment will be clear)! In a November 2011 Harvard Business Review article “What Every CEO Needs to Know About the Cloud”, Andrew McAfee makes the argument that Cloud Computing is a “deep and permanent shift in how computing power is generated and consumed”. He makes some good general points, but skirts over a fundamental question that any decision maker needs to understand about a specific cloud offering, before making a deployment decision: how cloud-ready is this technology, really? Let me explain. There is an idea called “Diffusion of Innovations” (http://en.wikipedia.org/wiki/Diffusion_of_innovations) that gave rise to an S-shaped curve which is used to explain all sorts of things from the evolution of search engine ad-formats to business models. Essentially it describes the rate at which new technologies are adopted: slow at the start for early adopters, then accelerating as more people catch on, and finally plateauing with maturity. 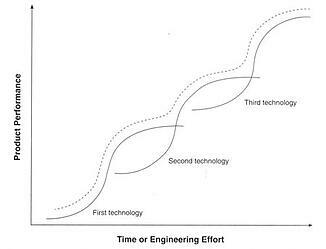 If we relate this to our current Cloud and TM1 discussion, I would say that pre-cloud TM1 might be on the “First technology” curve, TM1 on Cloud is on the “Second technology” curve, and SalesForce.com (our example of the ubiquitous Cloud solution) is on the “Third technology” curve. Notice the overlaps: the TM1 on Cloud technology is really just dipping its toe in the cloudy waters (sorry! J), hanging on to its “on-premise” roots, while SalesForce.com was designed from the ground up to be a Cloud application. So, buyer beware! When you are considering deploying a cloud solution, a “Second technology” vendor is not going to advertise the fact, and will be happy to let you think that you are buying a “Third technology” solution. Why does it matter? Note we are NOT saying that you should not invest in a “Second technology” solution like TM1 on Cloud: far from it! We are just saying that you need to know what you are buying, so that you have a clear picture of both benefits and pitfalls. And it is important to understand the pitfalls, so that you can plan to deal with, and manage them. For example, a good “Third technology” solution will have built in infrastructure, deep in its bowels, to deal with issues like data transfer across the cloud, new security concerns arising from putting your precious data in someone else’s care and seamless upgrades and additions of new features. Will data transfer (and other) issues be solved by patching on additional unproven technology, and will I find myself on the bleeding edge as a beta tester? Will the old security model hold up under the new requirements? If the pre-cloud solution did not have great tools for managing upgrades and development to production moves, how will it be done on the cloud? Have they really thought through and tested all the business processes, including scheduling upgrades? For example: one of the benefits of the Cloud is that upgrades can happen automatically and seamlessly. But what if an upgrade breaks something in my application? Will I have a chance to test it first? Who will be responsible for managing the logistics and timing around that? How much influence will I have? Will my application be sharing a physical server with those of other customers? How will I be impacted if one of the other applications suddenly consumes a lot of server resources? Note that the TM1 on Cloud base offering does assume that your application will be on a shared box. For a higher fee, you will be able to request a dedicated box. Let’s be clear: none of this should deter you from exploring TM1 on Cloud, though QueBIT does recommend paying the extra fee to have a dedicated physical server, which will help not only with the shared resource question, but potentially also with having control over upgrades. Our intention is to help you ask the right questions, and make a fully informed decision based on the TM1 on Cloud offering as it stands today. We expect that within a year TM1 on Cloud will evolve further towards being “Third technology”, and the questions you should ask will evolve with them. Having said all that, let’s remember that TM1 is special. It is not in itself an application, but a platform on which applications are built. This makes it very different and more complex than something like SalesForce.com, and the process of getting to the “Third technology” level will be harder. And this brings us to an important observation: while TM1 on Cloud – the server and development environment - is definitely “Second technology” by our definition, the applications we build on it can be “Third technology”, even today! So if you are a TM1 developer or a financial analyst who manages and administers a TM1 on Cloud application, you may be dealing with a “Second technology” environment, but the application itself, for example your TM1 Planning and Forecasting application, or your Financial Reporting and Consolidation application can be a full “Third technology” cloud solution from the point of view of your end-users, particularly with the new tools made available with TM1 10.2 (QueBIT did a Webinar on this which you can watch at http://www.youtube.com/watch?v=jPAa9_jeIuU&feature=youtu.be). It’s all a matter of how you design it. You can leverage TM1 Web, Application Servers and TM1 Mobile to give your end users that thin “no installs, available anywhere” client experience. Or you can build rich web applications using QueBIT’s WebWORQ and ControlWORQ products. And you can create all these “Third technology” cloud solutions both with an old fashioned on-premise TM1 server, or by giving up the hosting and server administration costs of using TM1 on Cloud. What business purpose does our TM1 application provide to our end users, and can their needs be served by a pure Cloud approach, or a hybrid approach (perhaps with most functionality on the Cloud but with some power users still using the Excel clients)? What is the benefit of hosting my TM1 server off-premise, either with IBM using the “TM1 on Cloud”, or with a third party? The bottom line is this: a lot of the IT future lies in the Cloud, and for good reason. The key to getting the most out of it is understanding the technology well enough to make the most out of it!